I'm passionate about designing sustainable urban landscapes. From my experiences living in San Diego, Toronto, Halifax, and New York City, I have developed a deep appreciation for active transportation, public transit access and well-designed cities. My goal at Alta is to inspire cities to invest in active transportation infrastructure improvements to increase livability and community growth. 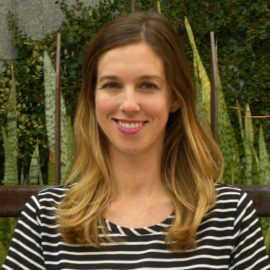 Danielle is a Senior Planner specializing in the management of sustainable land use planning and active transportation projects. Her experience ranges from small-scale analysis of neighborhood mobility concerns to regional transit issues, active transportation, and interactive data strategies.